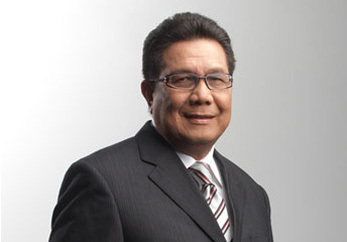 Datuk (Dr) Abdul Raman Saad holds an honours degree in Law from the University of Singapore.He also has a Masters degree in Law (with specialization in Electronic Laws) from the University of Melbourne, Australia and a Doctorate degree (honoris causa) in Business Administration from MW Missouri University, USA. Datuk (Dr) Raman was admitted as an Advocate and Solicitor in West Malaysia in 1977, the Singapore Bar in 1995 and as a Solicitor for England and Wales in 2002. He had served the Malaysian Judicial and Legal Service in the various capacities as Magistrate, Deputy Public Prosecutor/Federal Counsel and Assistant Director of Legal Aid, Malaysia before he embarked into private legal practice. As part of his continuing legal professional training, Datuk (Dr) Raman completed an Executive Course at the Harvard Business School in 2000 under the “Leading Professional Service Firms” program and was a regular participant at the Islamic Legal Studies Program (ISLP) at the Harvard Law School since 2004. ILSP’s aim is to study the field of Islamic finance from the legal and Shariah points of view by analyzing contemporary scholarship, encouraging collaboration among scholars within and outside the Muslim world, and increasing the interaction between theory and practice in Islamic finance. Datuk (Dr) Raman has more than 40 years of experience in legal practice, covering diverse matters such as in real estate, corporate and commercial laws, restructuring, corporate banking and finance, Islamic finance and sukuk, merger and acquisition and privatisation. He is also the joint-head of ARSA Lawyers Islamic Finance Law Practice Group and specialises in Islamic Finance,Waqf, Information Communication Technology Law, Media and Telecommunications, and Cross-Border transactions. Datuk’s quest and pursuit for legal knowledge and expertise knew no bounds and continued throughout his entire legal career and practice. An exceptional legal strategist and negotiator, he is skilled at resolving disputes and advising clients on how to avoid courtroom. He regularly advises clients on Shariah compliance issues in the context of merger & acquisition, public offerings, private equity investments, restructurings and other corporate transactions. He also advises boards of directors in addressing shareholder activism and related corporate governance matters. Amongst the notable Islamic Finance works that he has advised are: sukuk mudarabah and Islamic Real Estate Investment Trust. • the Organisation of Islamic Conference jointly organized with CyberSecurity in February 2009 on Bad Economy Fuelling Cyber Crime. He has authored a book entitled “Personal Data Privacy Protection” published by Lexis Nexis/Malayan Law Journal in 2005. He co-authored a write-up on the Malaysian perspective of legal due diligence work entitled “The Importance Of Due Diligence In Malaysia From The Perspective Of Securities Regulations Of Malaysia”, published by Sweet and Maxwell (London) in the book on “Due Diligence Law And Practice” by Christopher Davis (6th release, September 2001). • Security Interests in IP for Islamic Financing published by International Pacific Bar Journal in 2008. He is recommended as one of the leading lawyers in Islamic Finance and Banking by Red Money 2008. Datuk (Dr) Raman was a President of the Consumers’ Claims Tribunal of Malaysia for 5 years until September 2007. He had served for 5 years as a Council Member of the Inter-Pacific Bar Association (“IPBA”) (www.ipba.org), a leading international law organisation for business lawyers with interest in the Asia-Pacific Region. He was a director of Technical University Malaysia Melaka (“Universiti Teknikal Malaysia Melaka – UTEM”), a public funded university for 13 years and director of several public listed companies on Bursar Malaysia. Currently, he is a director of CyberSecurity Malaysia that exists as the national reference and specialist centre in cyber security under the purview of the Ministry of Science, Technology and Innovation (MOSTI) with its objective, amongst others of addressing computer security issues amongst Malaysian internet users and other private limited companies. He was appointed the Chairman to the Advocates & Solicitors Disciplinary Board by the Honourable Chief Judge of Malaya in February 2017. For his outstanding services to the community, Datuk (Dr) Raman was conferred the award of “Darjah Mulia Seri Melaka” [DMSM] by His Excellency TYT Governor of Malacca in 1996. The award of “Kesatria Mangku Negara” (KMN) was conferred on him in 2000 by His Majesty The Yang DiPertuan Agong. Copyright © 2019 Abdul Raman Saad & Associates. All Rights Reserved.